A teleprompter is a great tool to add to your next video production shoot. 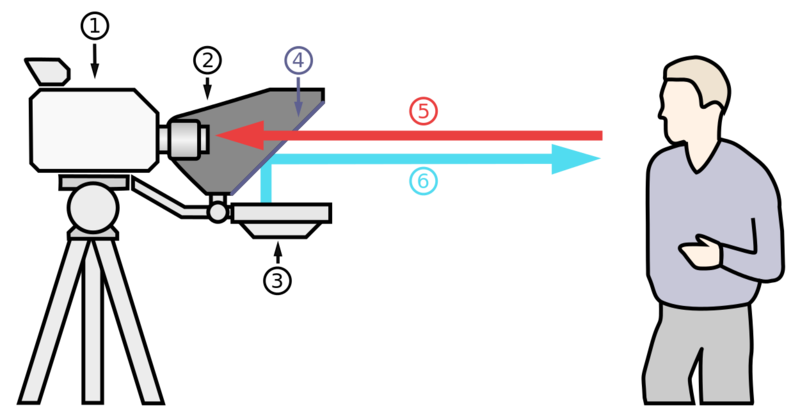 A teleprompter is a device that allows the presenter to read a script while looking directly into camera. This camera technique allows the presenter to use direct eye contact to engage the audience. Often times a teleprompter will be used for documentary, commercial, or corporate videos. This is a professional way to deliver a script or speech for use in creating video production content. A teleprompter has many benefits to offer your next video production shoot. For example, they take away the need to memorize a script. This is a helpful tool for most presenters on camera because it gives them the confidence to deliver a speech with ease. It also allows them to focus more on personality, professionalism and consistent eye contact. In addition, teleprompters save you time and budget. The teleprompter is a tool to provide you the ability to quickly, yet comfortably, deliver and record a message into camera. The words of the script display on screen and scroll with the natural pace of the presenter. This allows the presenter to record more takes in less time since the entirety of their speech is available to read on screen in real time. With the use of a teleprompter, the amount of time you need to record the presenter and hire the production and crew is cut down, thus saving you time and budget. Consider the use of a teleprompter for your next video shoot. The benefits to have this technology on set will help the process of video production run smooth. Plus, your presenter will be grateful to have this tool to use on set. Teleprompters provide the presenter the ability to read a script with confidence, to not memorize the lines, and saves production time and budget.